Magneto possesses the power to control all forms of magnetism. He can shape and manipulate magnetic fields that exist naturally or artificially. It is unclear, however, whether he must draw magnetic force from outside himself (if so, then he can do so over vast distances), or whether he can also generate magnetic force from within himself. Nor is it clear whether Magneto’s power is psionic or purely physiological in nature. Magneto’s power is, for all practical purposes, limitless. Moreover, he can use his magnetic powers in more than one way simultaneously. He can completely assemble a complicated machine within seconds through his powers. He can erect magnetic force fields with a high degree of impenetrability around himself for protection.Although Magneto’s primary power is control over magnetism, he can also project or manipulate any form of energy that is part of the electromagnetic spectrum, including visible light, radio waves, ultraviolet light, gamma rays, and x-rays. However, Magneto almost always uses only magnetism, since it’s more difficult for him to manipulate other forms of energy. Magneto has also exhibited powers of astral projection and telepathy, and has claimed to be able to control the minds of others, though his abilities along these lines appear to be minimal. Magneto’s ability to wield his superhuman powers effectively is dependent upon his physical condition. When severely injured, his body is unable to withstand the strain of manipulating great amounts of magnetic forces. Magneto has mastered many technological fields, and is an expert on genetic manipulation and engineering, with knowledge far beyond that of contemporary science. He is considered to be a genius in these fields. He can mutate humans in order to give them superhuman powers, or create adult clones of human beings and then manipulate the genetic structures of these clones during their development. He has also learned how to create artificial living beings. 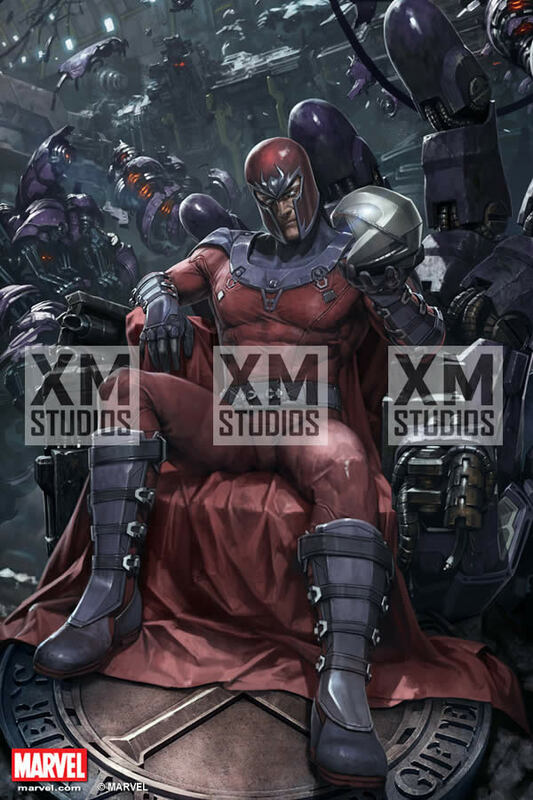 Magneto is also an excellent strategist, both in actual battles and games of chess. Magneto’s helmet is designed to prevent telepathic intrusion or psionic attacks. Magneto has designed such creations as magnetically-powered craft, complex robots and computers, and magnetically-powered generators.